Culm is a local name for anthracite and an outcrop of culm bearing strata crosses East-the-Water, beneath Mines Road, Eastridge View, and Grange Road, before continuing, under the Torridge, and onward under western Bideford. A lease signed by the Earl of Bath (John Grenville, 1628-1701) suggests this was being exploited on the lands of Port Farm as long ago as 1664. 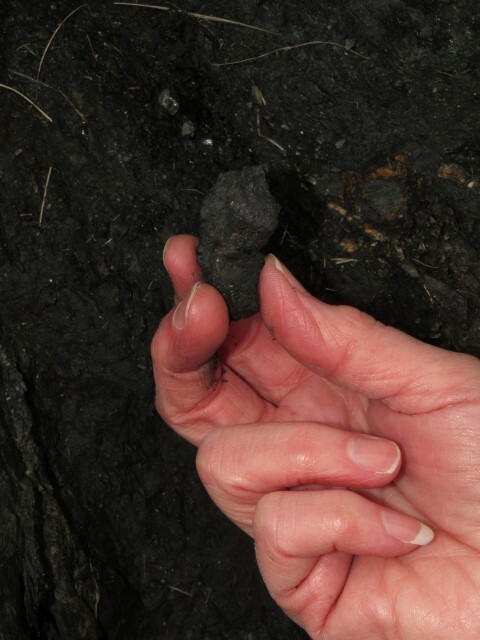 As well as three seams of anthracite, the outcrop contains one of a carbonaceous clay known as Bideford Black. Used as a pigment, Bideford Black was once in demand for products as diverse as boat blacking and mascara. Black mining once flourishing in East-the-Water at Chapel Park, where there was already a mine as early as 1820. To the east, the Chapel Park mine linked to another mine just north of Warmington Farm, the Westwood Mine. A further mine, the Broadstone Mine, lay near the head of the valley that runs southward from near the Salterns and the works continued westward from there to the Torridge. During 1823-4 the Rolle Canal was dug to facilitate transport between Great Torrington and Bideford. The canal, which joined the Torridge at Landcross, allowed limestone from Wales to be imported further inland, along with the coal needed to slake it. In return, clay from the Peters Marland pits (south of Great Torrington), together with other products from Rolle’s mills, could make the reverse journey, then, as required, trans-ship into ocean going vessels for export from Bideford’s quays.